Comedic-hack-turned-fraudulent-Senator Al Franken steadfastly supported leftist jihadi Kathy Griffin. His support came after her “joke” decapitation of President Trump. After all, it was all in good fun, right? 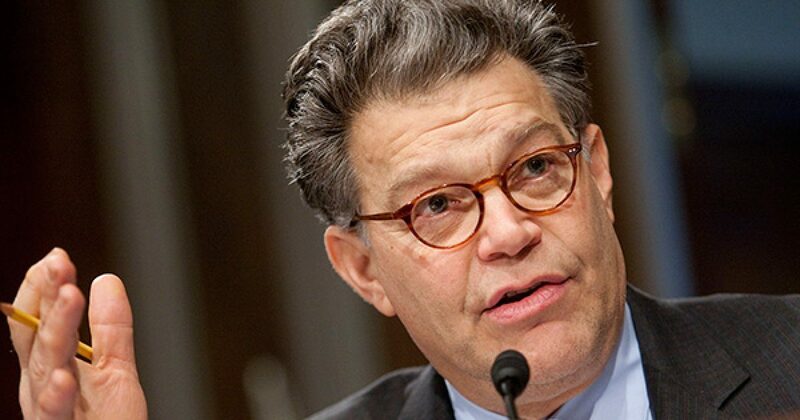 Initially, in support of his fellow D-list Hollyweirdos, Franken refused to cancel an event he had planned with Griffin. Noted, Griffin did offer a not-so-heartfelt apology to the Trump family. Not fully apologizing is considered a complete mea culpa in Hollyweird. Watch for yourselves. Then, Griffin tried to become the victim. Yes, Trump’s election made her crazy. Bloom said the comedian was contacted by the U.S. Secret Service and said she has retained a criminal lawyer. Griffin belly aches about being questioned by the Secret Service? She received the least possible penalty for such a heinous stunt, but she feigns victimhood. For clarification purposes, I submit that Griffin sports a severed head of the president. Then, the Trump family responds, telling her what a vile creature she is. However, she feels attacked. That’s liberal logic at its finest. You start the fight, and when the other person fights back, yell that you’re under attack. Trump may have driven Griffin and lots of other leftist lunatics crazy, but welcome to the party, pal. Twice sicked, conservatives grinned and bared it. First in 2008 in the first election of the who we knew would be the worst president ever. Then again, after validation of Obama as a failure, we watched him get re-elected. We kicked his and 1,080 other Democrats’ bony asses out of office over the 8 years of Progressive Utopia. I believe leftists have begun to notice that most of the nation supports the president. Thus, it wasn’t just how foul Griffin’s stunt was that caused the backlash. They just needed an impetus to get the ball rolling. “I believe what Kathy Griffin did was inappropriate and not something that should be anywhere in our national discourse. I consider her a friend and I’m glad she realized she crossed the line and apologized,” Franken said. Interestingly, it took Minnesotans to cause Franken to rescind his offer to Griffin. The senator didn’t have the common sense to distance himself from such a swamp skank.